Oṃ Maṇi Padme Boom: Caroline Petters’ ›Hum Bom‹! The poem Hūṃ Bom! by Allen Ginsberg, written in 1971 and published a year later in the collection The Fall of America, is a famous example of the poet’s anti-war poetry. Photographer Caroline Petters uploaded her poetry video based on the first part of Ginsberg’s poem under the title Hum Bom! forty years after the original poem, in 2011, on the video platform Vimeo. I will analyze both the content of the poem in connection to the video and the extension of the poem that is achieved by the video. The intention is to point out that Petters not only goes beyond illustrating Ginsberg’s poem very effectively. She also manages to amplify what Ginsberg left unsaid. Before providing an interpretation of Ginsberg’s poem as well as Petters’ poetry video, I would like to meditate on the title of the poem by Ginsberg and the variation used by Petters in order to facilitate its understanding. An intuitive reading will immediately connect the title to the repetitively used words »whom bomb«* and take ›hum bom‹ as a naïve or reduced spelling of the key phrase of the poem. I will propose two other readings, the first will focus on the original title Hūṃ Bom! and the other on the title of Petters’ video Hum Bom!. ›Hum Bom!‹, as used in the poetry film, in the second reading, now only consisting of normal Roman letters, leads to an interpretation on an onomatopoetic level. First, ›hum‹ can be considered as really meaning the verb ›to hum‹ or the sound of humming in general. In addition, ›bom‹, which on a phonetic level sounds exactly like ›bomb‹ (/bɒm/), can be extended to ›boom‹ with some imagination. The connection of both leads to a sound sequence of a low humming sound ending with a boom (or at least a ›bom‹), the falling bomb and its inevitable explosion. Examining the title from a concrete poetry perspective allows both readings to interact in the intersection of Sanskrit transliteration and onomatopoeia. The macron above the ‘ū’ as well as the exclamation mark at the end of the title could be interpreted as minimalistic pictographs. Both resemble bombs dropped by airplanes, first descending horizontally and later vertically. This observation reconciles the interpretation of the original and the modified title, as proposed above, by enhancing the aural reading with a visual explanation. Furthermore, it also strengthens the interconnectedness of title and content. The act of bombing is the central motif of the poem: ›to bomb‹ is the only verb in it and additionally fortified by the auxiliary ›do‹ as in »what do we do?«, which is answered with »you bomb« or »we bomb«. In her poetry film, Petters is foreshadowing this in the first sixteen seconds before the video is interrupted for the first time. In this beginning a static camera slowly focuses in on a teenage girl in a red cheerleading uniform standing in front of a white background, rustling with two red, white and blue pompoms. Initially, the image is blurred. The viewer can detect the movement of the pompoms but cannot see the girl whose outlines can only be made out after about five seconds. Her face is only being revealed at the end of this sequence. The introductory image with the undefined pompoms in the center resembles the infamous mushroom clouds of A- or H-bombs. Juxtaposing these two images, the similarity becomes evident. The girl’s red waist together with her pompoms gives her the same shape that the explosion of A- or H-bombs has. The image in the video not being focused emphasizes this impression. At the 0:19 second mark, after having announced title and author, the camera once again focuses in on the girl now performing a cheer, jumping up and down, while reciting the first stanza of the poem. She jumps and claps her pompoms in 4/4 time, stressing the first and the third quarter which is where the question »whom bomb?« (Petters, 0:20) and the answer »we bomb them!« (ibid.) begin. Ginsberg’s poetry is often ascribed with a chant-like quality, fortified by the mantra-reference in the title, something which Petters knows to pick up and elaborate on by taking the poet performing the poem on a stage*** and transforming him into a young girl performing a cheer. The chant turns into a call and response pattern that can typically be found in various sports. Petters basically uses the same technique for all five stanzas, the camera does not move or zoom at all during the video. All it does is focus in at the beginning of each stanza and blur the image in the end. This creates an effect of the different stanzas blending into each other. In between some stanzas audio and video tracks are in fact overlapping. The stanzas also differ in terms of rhythm and movement of the girl, she can be seen jumping in all stanzas except the third in which she remains on the ground. Also, the third stanza is the only part not consisting of any exclamation or order but only the two main questions of the poem »what do we do?« (0:32) and »who do we bomb?« (ibid.). The girl performs the same clapping forward motion of her hands in the first, second and last stanza, in which the text is rhythmically identical as well. As discussed above, the third stanza is different in terms of the cheerleader’s movement but the fourth is more interesting to analyze. Here the girl jumps up and down as before, only this time it is in 6/4 and, even more important, she points her arms towards the viewer when shouting »you bomb« (0:39) and throwing her arms to her sides when exclaiming »you bomb them« (0:40). The viewer is directly addressed not only by the use of the pronoun ›you‹ but also by the direction into which her arms point. The third person plural ›them‹ is being spatially distanced from the girl by her spreading her arms (0:43). In contrast to this, in the second half of the stanza when she says »we bomb« (0:44), she opens her arms just enough to reveal lettering on her chest and her smiling face (0:46). This motion can be interpreted as a gesture of telling the reader to look at who ›we‹ is. Also notable is that the girl’s cheerleading outfit is not unequivocally recognizable until the third stanza, previously being hidden by the pompoms. The red and white uniform she is wearing has written »USA« in large letters across her chest. The effect created is highlighted by the blue color of the letters. Therewith, the uniform contains all of the American flag’s colors. This could only at the first glance be mistaken for a manifestation of patriotism. It should rather be seen as soaking with irony. Hūṃ Bom! has written anti-war poem all over it once you are aware of Ginsberg’s critical stands towards American foreign policy, especially towards the American role in the Vietnam War during which the poem was published. Petters hereby implicitly attributes a name and an identity to the poem’s ›we‹ that Ginsberg does not define. The ›we‹ does not remain anonymous in Petters’ poetry video, the poem no longer reads ›we bomb them‹ but instead it states ›the United States of America bomb them‹. Here the incoherence of the peaceful mantra referred to in the title and the content of the poem becomes tangible. The concrete poetry approach to the title supports this subtle irony. To follow this notion, the progression can be vocalized as ›we, the USA, bomb them, the enemy‹ and ›you, the audience and most likely the American people, bomb yourself‹, followed by transferring the burden of bombing the other to the second person you. ›You, the audience, bomb them, the enemy‹ while ›we, the USA, bomb you, the audience and therefore our own people‹. The ›we‹, as a defender against said enemy, has now become an auto-destructive force. This subtle but steady transgression is being smiled away in the video. The message is there, but the buoyant tone of the young girl and her up-and-down movement, accompanied by throwing her arms, does not let the viewer catch his or her breath to follow this revelation. Petters demonstrates effectively in which ways propaganda can have its effect on people. Unpleasant messages are hidden in positive, literally cheerful, imagery. Finally, the artist disperses the possibility of wanting to subliminally influence her viewers by showing the text of the poem, slightly differing from the original formatting, at the end of her video, black on white (0:59). In conclusion, Petters sticks to the original words of the poem but enhances them with her imagery. She replaces the chant with a cheer and Ginsberg’s poetic voice with a young girl. She puts her finger on the ›we‹ and gives it a name. Petters reflects with an ironic undertone not only on Hūṃ Bom! but also on the use of war propaganda. The scarce setting concentrates the viewer’s attention on the cheerleader and her movements, jumps and claps, her arms and pompoms, without allowing him or her to be distracted. In fact, throughout the whole video, the background does not change. It remains blank and no other objects are introduced. The camera only shows the cheerleading girl whose body and face are illuminated without any visible shadows. The rapid consecutive blending of the stanzas keeps the viewer from unwinding. All in all, Petters has managed to appropriate Ginsberg’s words and created her own version with the help of her audio-visuals. Hum Bom! demonstrates the indelible topicality of criticism of American warmongering in the world which has not ceased in the decades following the original publication of Hūṃ Bom!. * Allen Ginsberg: »Hūṃ Bom!« The Fall of America: Poems of These States, 1965–1971. San Francisco: City Lights, 1972, n. p.
** See »hum« Revised and enlarged edition of Prin. V. S. Apte’s The practical Sanskrit-English dictionary. Poona: Prasad Prakashan, 1957–1959 (Digital Dictionaries of South Asia). *** Allen Ginsberg reads Hum Bom (YouTube-Video). 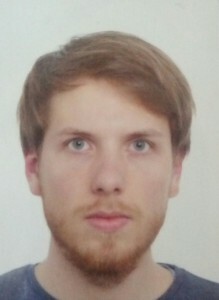 Jan Schülling is an undergraduate student of English/American Studies and Philosophy at the Ruhr-University in Bochum. He is currently finishing his BA studies to begin MA courses in English/American Studies in 2016. This essay was a contribution to the seminar »U. 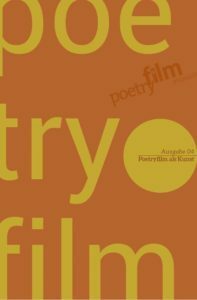 S. Poetry Goes Intermedia« held by Martina Pfeiler in 2015.